Hopefully you've heard of Kahoot by now! It is a great online tool for assessing student knowledge in a fun, game-like platform. 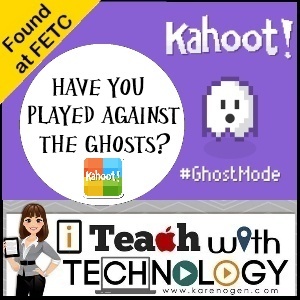 Recently, Kahoot has made some wonderful changes including the addition of Ghost Mode! Ghost Mode is a new option that allows students to play against the ghosts of the people that took the assessment before them. This means that students can now retake a Kahoot assessment and try to improve upon their original score (because they will be playing against their former ghost self and score). Or, students can play against another class. The assessment and results can be shared between teachers, so classes next door or even across the world can take the assessment at different times, but still compete against one another. How do you get to Ghost Mode? It's easy. Once you have played a Kahoot and it ends, there will be a "Ghost Mode" option to play again immediately against the ghosts. Or, from your main Kahoot screen, you can find assessments you have given in the past and click on the little ghost icon. Create an assessment at https://getkahoot.com for free. Students take an assessment at https://kahoot.it with your game pin! Kahoot works on all platforms. 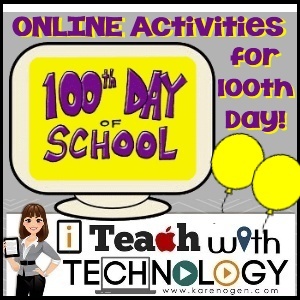 Online Activities for 100th Day! Are you celebrating 100 days of school? I have put together a collection of online resources that will help you count to, skip count to, add to, and celebrate the number 100. Use these resources on your interactive whiteboard for whole class or small group lessons to help students to understand the value of 100. It's time to give your class a SWEET treat! 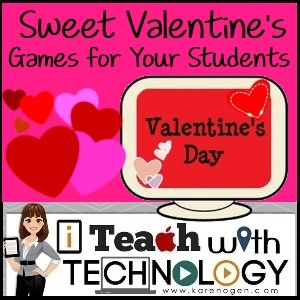 Keep them busy and learning with this collection of (mostly) educational Valentine's Day games. You will find themed games that support learning for math, language, and logic, so they won't realize that they are actually learning. There is something here for every student from Kindergarten through 5th grade. Here are a few of the fun activities you will find! Click to see more. 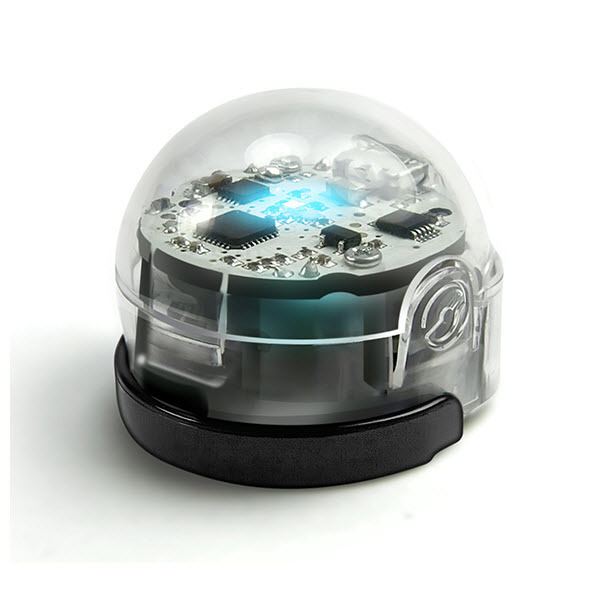 There's a new Ozobot in town and this little robot is upping his game. 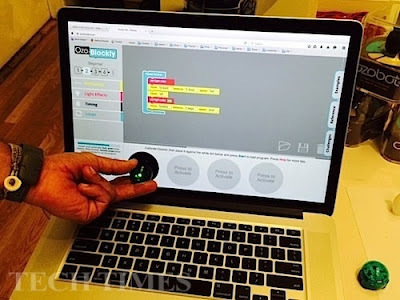 The new Ozobot Bit is controlled by a drag and drop, block based, coding program available at OzoBlockly.com. 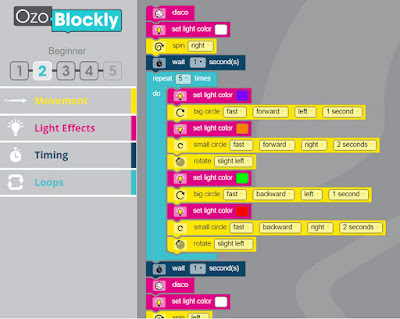 There are also 5 different levels of programming available from Novice through Advanced. 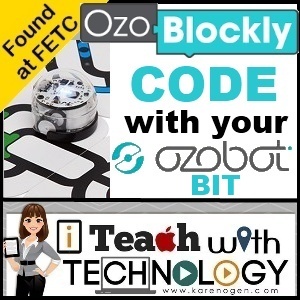 So whether you are teaching Kindergartners or High School students, they can program the Ozobot Bit. Ready to try your code? Place the Ozobot Bit on the designated space on the screen or tablet to download the code right to the little guy! Cool, right? What if you have an original Ozobot? 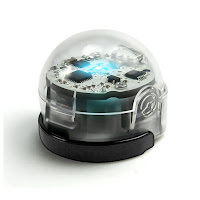 The site says you can upgrade it to an Ozobot Bit, for a small fee of course. Found at FETC: Osmo + My Osmo= Personalized Learning! If you are using Osmo's awesome apps and you are not using the My Osmo features, you are missing out on some of the best ways to use your Osmo apps. 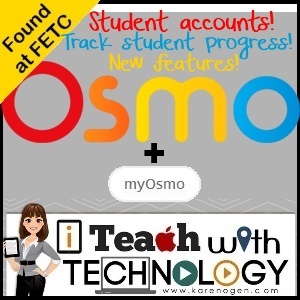 *Create student accounts and track student progress (even on the new NUMBERS app)? *Browse newly created albums of words and create your own puzzles for the WORDS app? *Save your MASTERPIECE drawing and submit it to the Wall of Fame? *Browse the forum to download and share lesson plans? Just create a FREE account and you will be given a code to connect your apps to your account. Don't worry if you share an iPad with another teacher, you can also connect multiple accounts! Also NEW in NUMBERS: Go to the Settings icon in the top left and you can bypass all the levels! This is great if you are working with older kids and you don't need to spend the time on the easier problems or if you want to open the levels on a teacher log-in account. 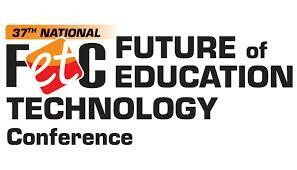 Found at FETC: Hands-On, Science, and Augmented Reality, Oh-My! What do you get when you combine hands-on learning, science, and augmented reality? You get these amazing products from Light Up. 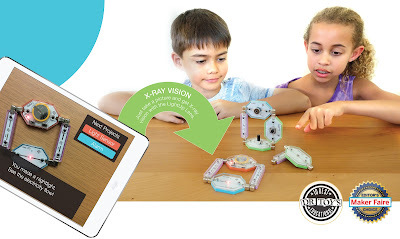 The Edison Kit comes with magnetic blocks that snap together to form circuits. 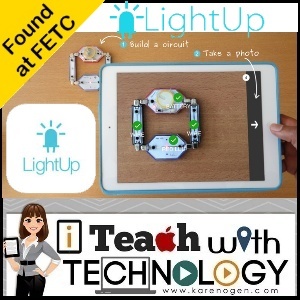 Students can test to see if they have built a circuit or one of the projects by taking a picture of their creation through the app. The app identifies the pieces and shows the students what has been created or what may be missing as well.